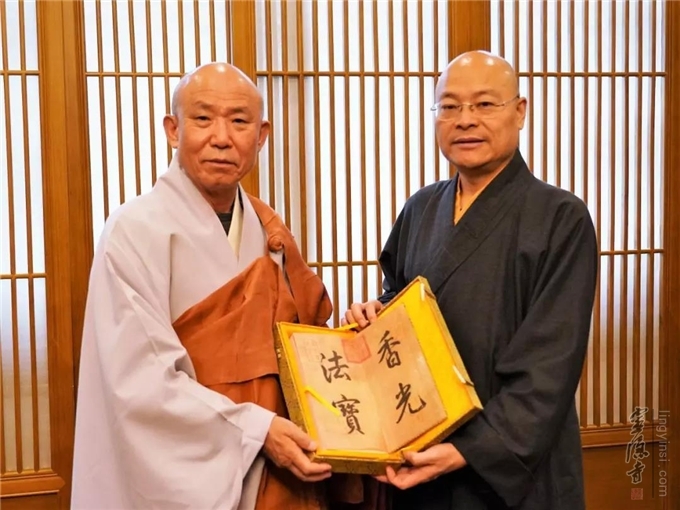 On November 8, 2018, a delegation of the Jogye Order of Korean Seon Buddhism led by the Abbot of Haeinsa Temple Venerable Master Yuanjue visited Lingyin Temple in Hangzhou. 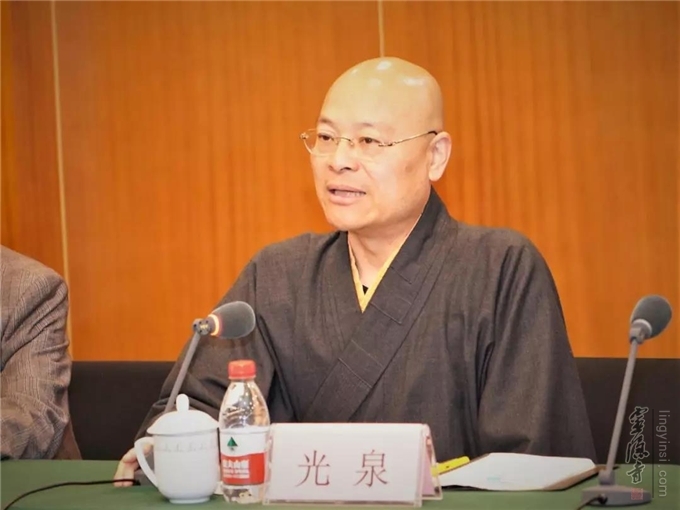 Venerable Master Guangquan extended a warm welcome to the delegation on behalf of The Buddhist Association of Hangzhou and Lingyin Temple. 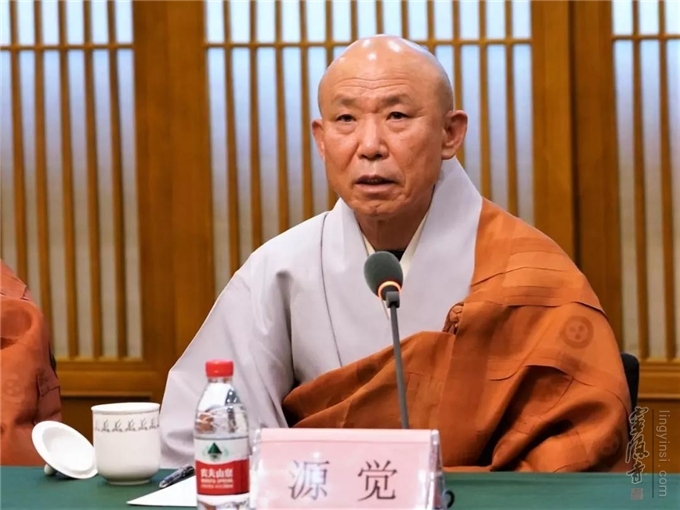 At the welcome meeting, Venerable Master Guangquan reviewed the positive role of Hangzhou in the cultural exchanges between Chinese Buddhism and Korean Buddhism, and introduced the venerable Buddhist masters in the history of Lingyin Temple as well as the efforts of the Sangha of the temple in the promotion of Buddhism. 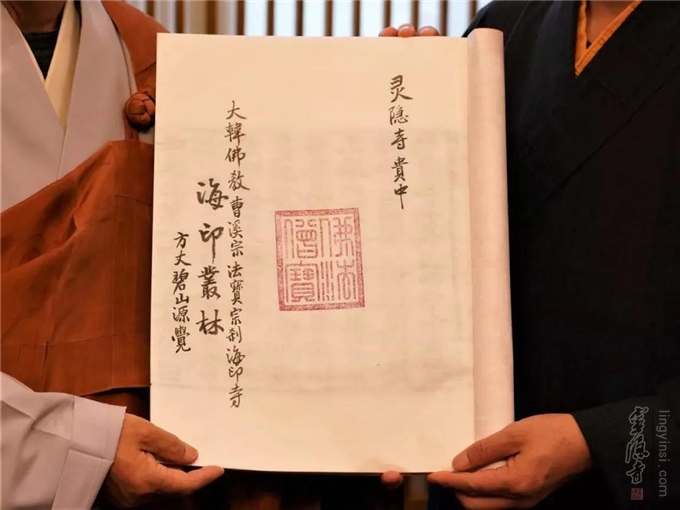 After that, Venerable Master Yuanjue introduced the influence of the Chinese Chan Buddhism on Korea, as well as the recent development and future prospect of the Jogye Order of Korean Seon Buddhism. 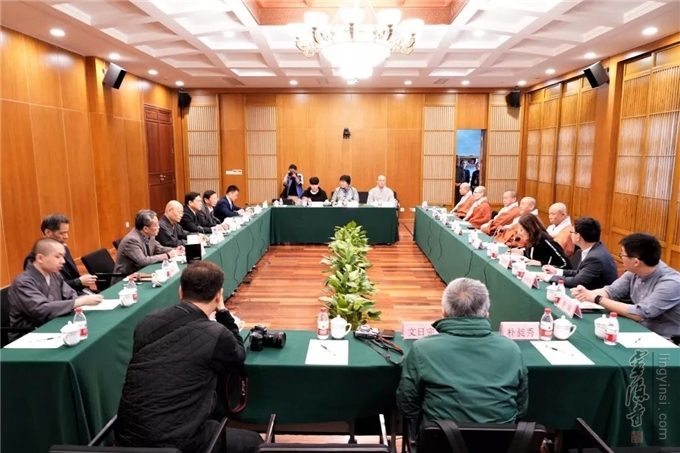 Both sides confirmed their desire to strengthen friendly cultural exchanges and cooperation at the end of the meeting.